It’s inspiring people around the world to tackle their home’s clutter, and it’s doing wonders for thrift stores cashing in on the planet’s newfound obsession with minimalism! But did you know that you can apply the same de-cluttering principles to your energy bill and not only feel the “I love to purge!” lightness of tidying up, but also save a significant amount of money on your power bill? 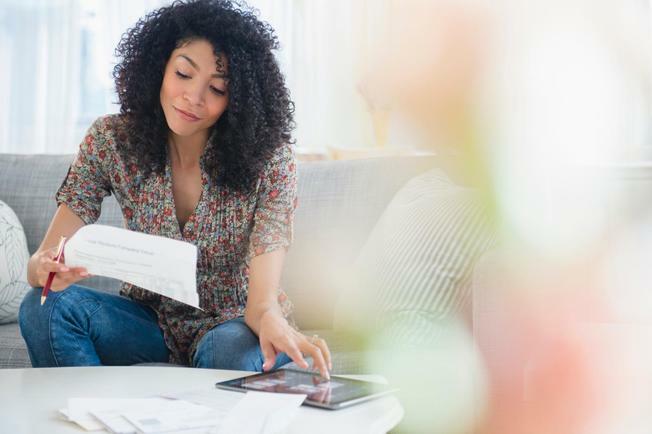 We’ve broken down how you can apply Marie Kondo’s methods to your energy bill -- which just might make your next billing cycle spark some serious joy. 1. Before you can do, you must visualize. 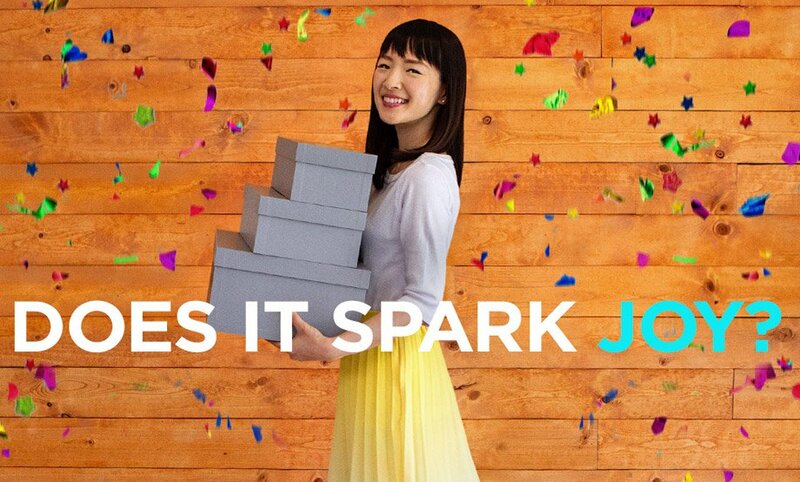 Each episode of the show starts with Kondo asking her messy clients why they want to get tidy. Before you flip your breaker or cut the power lines to your home, consider why you use less energy in your home. --Do you feel like your energy bills are becoming unmanageable? --Does looking at your box of loose cables and chargers stress your out? --Do the increasingly common news articles about the deadly impacts of climate change have you wondering what more you can do to help our planet? --Or maybe you’ve noticed your energy bills comparison of your usage to your neighbors isn’t looking so hot. Whatever your motivation, your intentions will help you commit to actually sticking to your word. “How do you want to feel?” is a question to ask yourself, said Jenny Ning, a professional home organizer and Kondo’s first U.S.-based employee. 2. Use only what you need. When doing a whole-home purge, it’s so common to come across an old trinket or knick-knack and think “I had no idea I even owned that!” -- and the same is often true for your energy usage. How many things are currently plugged in but not actually being used? Save money on your energy bill by unplugging these items when they’re not in use or even easier, attaching them to a smart plug which you can control from your phone. Check out these tips on where in your home is the best place to put a smartplug! This one is our absolute favorite. Not often when we think of our energy bill or power usage, does the word ‘joy’ come to mind. But a simple re-thinking of how we consume energy -- and what our life might be like with a little more unplugging -- can make all the difference. This is the case for OhmConnect customer Lynn and her family of six from San Diego, who get paid to unplug once per week and spend time together as a family. 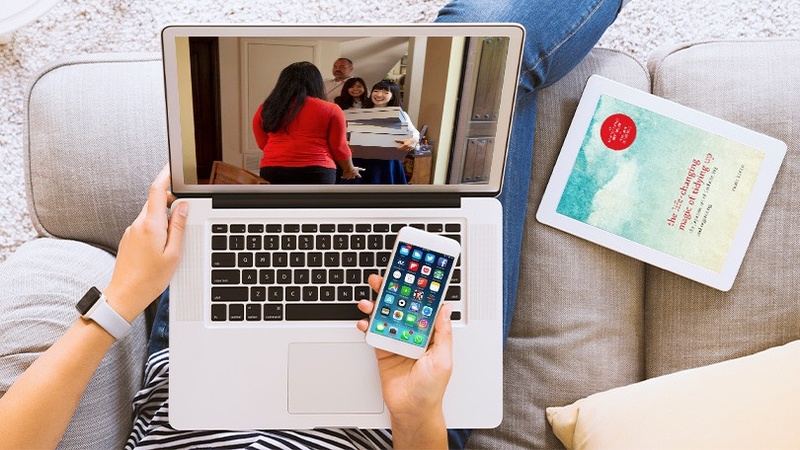 It’s become the norm to be forever plugged into the internet, TV, text messaging, social media, Netflix, video games and all sorts of other electronic indulgences. But can you remember how good it feels to put down the phone and spend time in nature, or face to face with people you love, sans technology? OhmConnect is a service that will actually pay California residents to unplug and use less energy once per week. These events are called #OhmHours, and collective participation from their community during “peak hours” when the electricity grid is most stressed has lead to the carbon offsetting equivalent to planting 2 million trees. “For us, #OhmHours are awesome, intentional events together than we otherwise might not make time for in a busy week,” Lynne explained. All SCE, SDG&E and PGE customers are eligible to participate in the program and get rewarded for saving energy. Find out how you can get started by visiting OhmConnect’s website.